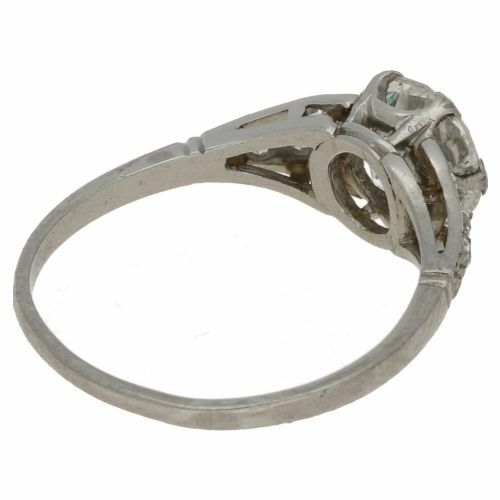 A unique and gracefully styled Art Nouveau diamond set ring. 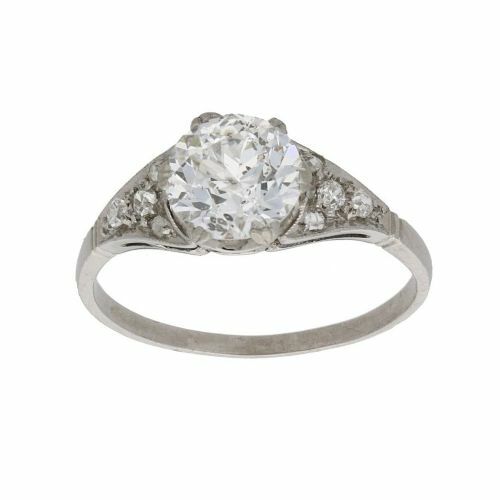 The centrally set transitional round brilliant cut diamond is set with six ridged claws, with fluted diamond set paneled shoulders. 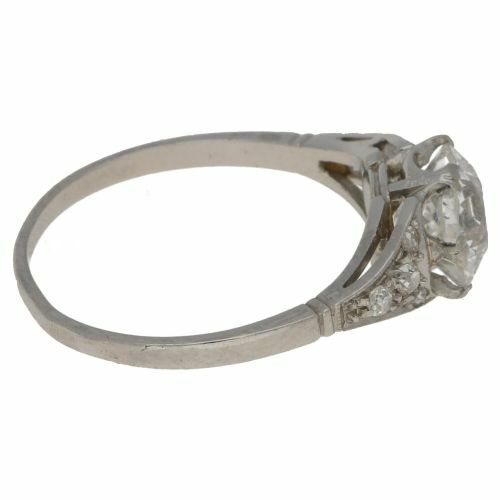 Estimated central diamond weight: 1.75cts. Assessed diamond colour: F/G. 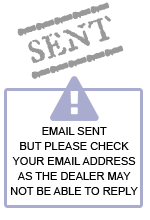 Assessed diamond clarity: I1. 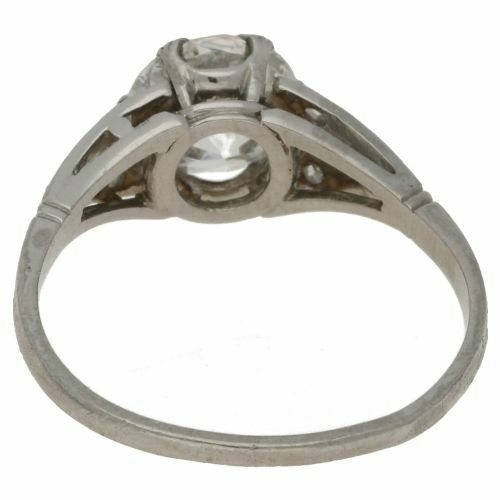 The Art Nouveau 1.75ct diamond engagement ring has been added to your saved items.